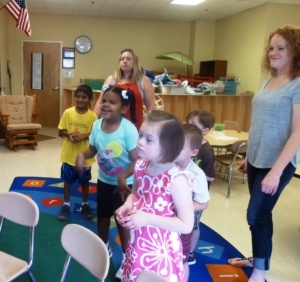 Our Charlotte and Davidson Language Summer Camp program has been extremely popular for years. We always fill up, often long before summer, in fact, this year’s camp filled up earlier than ever before and we always have repeat campers year-after-year. What makes our specialized summer camp so popular? And is it right for your child? 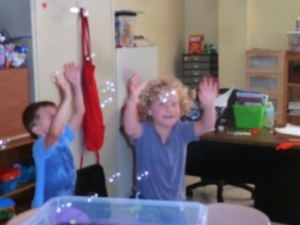 Our speech-language camp is fun! In fact, fun is our #1 goal. While we are working on language with everything we do, the children don’t even realize it. We are busy playing games, being active, and doing all the fun summer activities that make your child want to come back day-after-day, all summer long. Immersed with a group of children who are also working on a variety of speech and language skills, your child will make friends with other children who are just like them. Many of our campers are on the spectrum and enjoy being in an environment with children who are just like them. Spending all day with a group of peers, some of which speak just like them, process information just like them, feel the same way they do and understand them, provides a safe and welcoming place for them to spend their summer days. The comfort that comes with spending the full day with a group of peers who are like them and teachers who spend all year long working with children just like them is invaluable. Our camp staff works in a speech therapy setting with children all year long, this is what they do, it is their expertise and they understand your child! Every staff member knows your child’s specific goals and with our two-to-one student to staff ratio, your child gets constant attention to help them meet their needs and reach their goals. Even with all of the fun and games, this is a language intensive camp. Your child and our staff are working on speech and language the entire time. Our staff is comprised of very experienced speech pathologists, therapists, and retired teachers who work with children all year long and in the evenings after their full day at camp. We spend a great deal of time preparing the customized camp curriculum and each week’s activities to meet the goals of the specific children in the camp that week. Every single day we are tracking how each child is doing, and at the end of each week the staff meets and makes a progress note for the parents including things they can do at home to carry-over those skills. Many parents choose to maximize the benefits of speech-language camp by sending their camper for all six weeks. But, no matter how many weeks you choose, speech-language progress is guaranteed. Summer speech camp at Child Language and Developmental Speech is a fantastic, inclusive, fun environment for your child. The intensive focus on language and speech (disguised in fun) allows your child to make great strides towards their individual goals. If you’re looking for a specialized summer camp that is not a daycare and will allow your child to make progress towards their goals, Charlotte’s best summer speech camp is a perfect choice for you.